Couach Yachts, now called Chantier Naval Couach (CNC) is a historic French shipyard founded in 1897 that specialises in exceptional made-to-measure superyachts and megayachts built entirely in Glass Kevlar that range from 20 to 50 metres in length. Couach Yachts make excellent charter yachts and there are several available for superyacht charters. 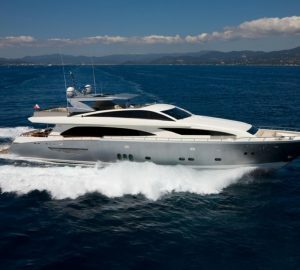 Please contact CharterWorld for the latest full list or view some of the Couach charter yachts below. Couach Yachts began its long history in 1897 when Albert Couach created the first marine engine called Arcachon. 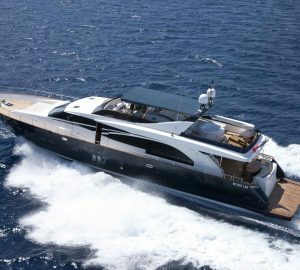 Couach Yachts went on to specialise in both military and civilian watercraft and in 1996 the shipyard spread its reach into the world of larger, tailor-made motor yachts. In 2005, after the acquisition of the Refit International Marine Service in St Mandrier, Couach was able to extend its luxury yacht range from 20-33 meters. 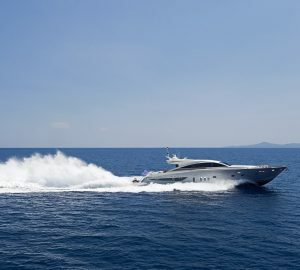 In 2007, the 3700 Fly motor yacht was introduced to a resounding success and even before the first launch of the new 37m model, five orders were already registered. 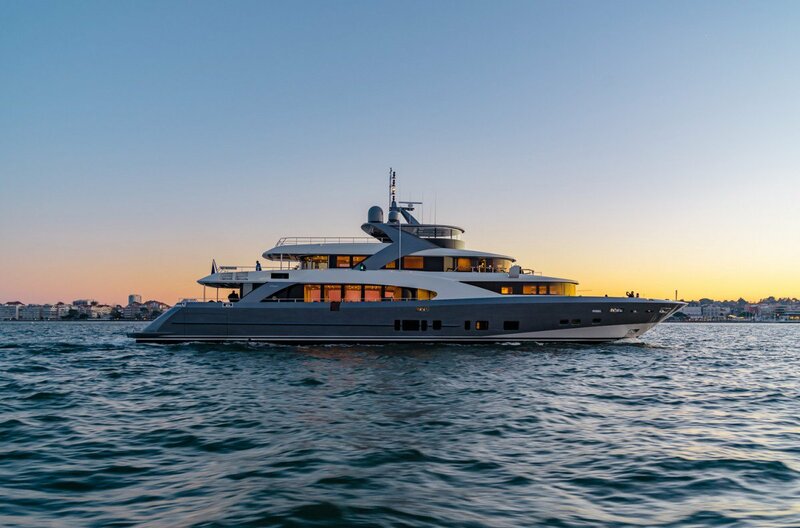 After constructing a new hall of 4400 m2, Couch began to develop the first two units 5000 Fly in 2008 bringing the yard into the luxury megayacht market. In 2009, the historic French shipyard was renamed Chantier Naval Couach (CNC) after being taken over by Mr. Fabrice Vial, Founder and Chairman of the industrial Group Vial which saw the yard reinforce its creation of “Yacht Couture”; the purest tradition of French craftsmanship. This signature “Couture” offers superyacht client’s unique design and optimal performance with a range of options available for fittings and decoration. 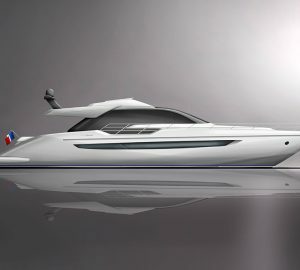 Coauch yachts claim that “Common sense, accuracy, ingenuity and 100 years of naval construction constitute our secret for attaining perfection for each of our yachts.” The luxury motor yachts feature a deep "V" shaped hull, ideal for speed, distance and all weather conditions. Entirely built in Glass Kevlar® fibre, the hull is 4 times more resistant to shocks than any aluminium or polyester hull, is more rigid, more solid, lighter and thus faster with more autonomy. The Chantier Naval Couach (CNC) shipyard is based in the Bassin d’Arcachon on the French Atlantic coast and employs over 300 craftsmen. From equipment to layout, design, woodwork, couture and fittings Couachs’ made to measure fast luxury yachts enable them to offer a very high level of service for an elite superyacht clientele. From the shipyards commercial agency and show room in the Port of Cannes, Quai St Pierre, CNC are able to accompany clients through the different options available for made to measure fittings and decoration throughout the stages of construction. As well as building luxury motor yachts, Chantier Naval Couach (CNC) shipyard also conceives patrol and work boats under the name of Plascoa using composite materials. The exceptional seaworthiness and globally recognized reliability and irreproachable marine qualities of Plascoa patrol boats rests on 4 generations of naval know-how: from Albert Couach, inventor of the first marine engine in 1897, to Guy Couach, first to build yachts using Aramat, up to today’s technological innovations. Couach Yachts (CNC) has built many boats - both luxury open and flybridge yachts - that are now available for yacht charters, in various locations around the world. The current series of luxury yachts includes the 2100 OPEN, 2300 FLY, 2800 OPEN, 3000 FLY, 3500 FLY, 3700 FLY and the largest megayacht series the 5000 FLY.